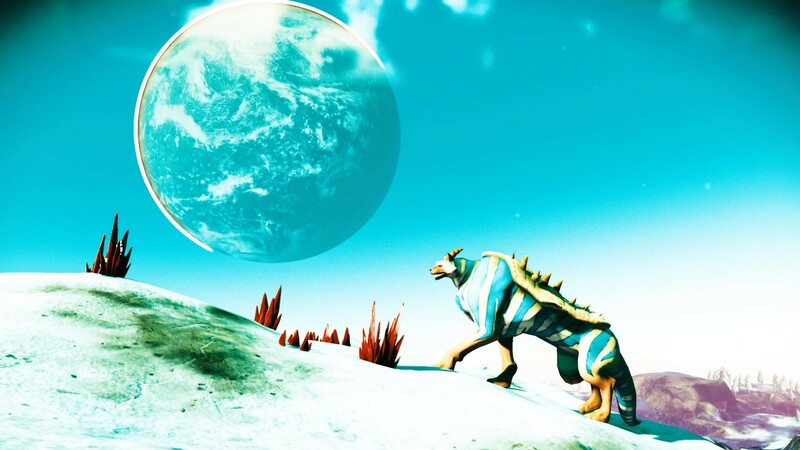 Back in 2017 in #NoMansSky I had been on the same home planet for a few months, with one animal species I could never discover despite scouring what felt like the entire planet. Then one day, it just strolled up, this glorious creature. I presume it was the only one there. I never saw it again.